According to a stop at the FCC, as well as a Bluetooth SIG filing, it’s looking pretty solid that Samsung will soon launch the Galaxy Buds. If you’ve heard of Samsung’s Gear IconX wireless earbuds, possibly one of the worst names for a product ever, think those, but Galaxy-branded. 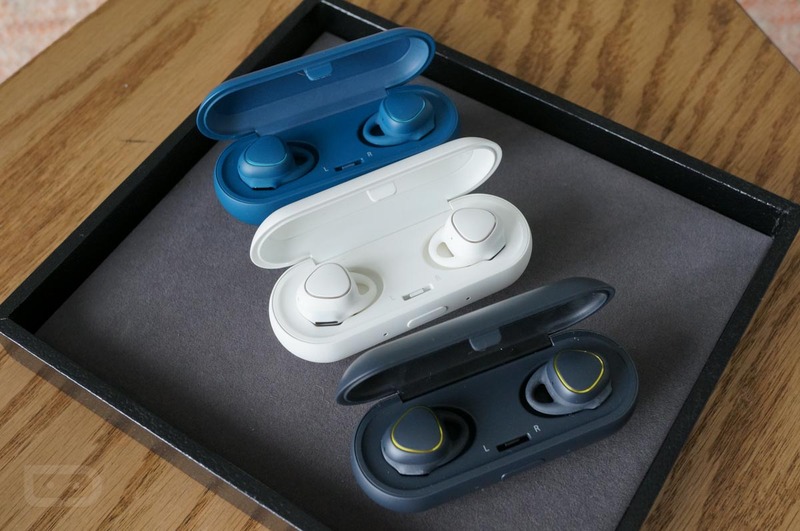 Little is known about the Galaxy Buds, but thanks to a Bluetooth SIG filing, it’s believed they will house Bluetooth 5.0. And thanks to the FCC, we know they will be housed by a charging case when not in use. In lieu of additional details, allow me to take a guess about what we can expect. Samsung still seems to love Bixby, so I could see the company’s digital assistant being onboard, similar to what Google has with Assistant in select audio products. That would at least make them a bit more interesting than just another pair of wireless earbuds, something the market has been incredibly flooded with over the past year. Samsung is hosting its Galaxy S10 launch event on February 20. Will we see Galaxy Buds announced there, too? We think that’s a safe bet.